We act in the field of Mining, Sanitation, Energy and Infrastructure markets. After working for many years in large engineering companies, he has decided to make available to the market his vast technical expertise, proven by numerous relevant projects. Working with a qualified team of multidisciplinary professionals, GeoHydroTech earned a huge reputation in the markets where it operates. In 2010 Eng. 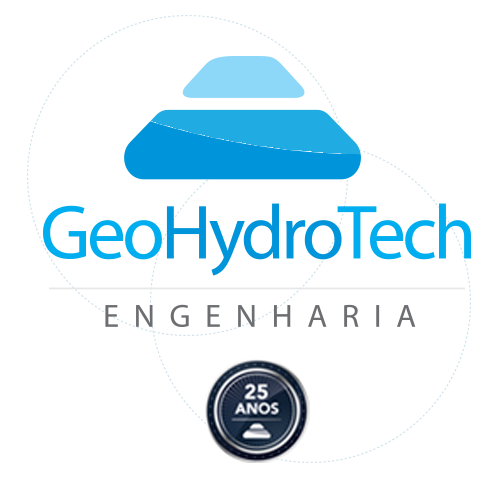 Hugo Rocha became a partner of GeoHydroTech, after an invitation from Eng. Paulo Paiva. He graduated in Civil Engineering at EM / UFOP in 2000, became a Master in Hydraulics and Sanitation at EESC / USP in 2004. He is responsible for the Hydrology and Hydraulics sector of the company. Based on this experience, GeoHydroTech provides consultancy services and designs in the sectors of Geotechnics, Water Resources, Dam Safety and Technical Fieldworks. We operate in the Mining, Sanitation, Energy and Infrastructure markets. The partners have great experience in designing projects of new dams for water and mining tailings storage, geotechnical, hydrological and hydraulic studies in general and consultancies focused on dam safety, as well as other related projects in the company's areas of activity. GeoHydroTech will always be a consulting and design company that, through the qualification of its team and commitment to its clients, will be able to meet the challenges presented and develop complete engineering solutions that establish a benchmark standard of excellence. During these 25 years, we have had large companies that operate in the Mining, Sanitation, Energy and Infrastructure markets as clients. All the projects we developed have been successful, and no problem has ever been registered in any of them. One of our relevant projects deserves to be highlighted: Santo Antônio Tailings Storage Facility, owned by Kinross Brasil Mineração, successor of Rio Paracatu Mineração (RPM). Located in the municipality of Paracatu / MG, this dam can be considered the largest in Brazil in terms of volumes of compacted earthfill and stored tailings. It is 5 km long and 106 m high in its main section. Since 1987, 20 dam raising stages have been built, adding up to more than 40 million cubic meters of compacted earthfill, allowing RPM / Kinross to store about 600 million cubic meters of tailings. The designs of all stages were carefully elaborated, meeting all Brazilian and international standards, and having been audited several times by world-renowned consultants. In addition, the monitoring and operation of the dam has always been done exquisitely and closely followed by our professionals. There has never been an incident and the mining company has never had to halt the operation because of any dam problems. All this made it to be considered by FEAM, the environmental agency of Minas Gerais state, as the benchmark in Tailing Dams to be followed there.